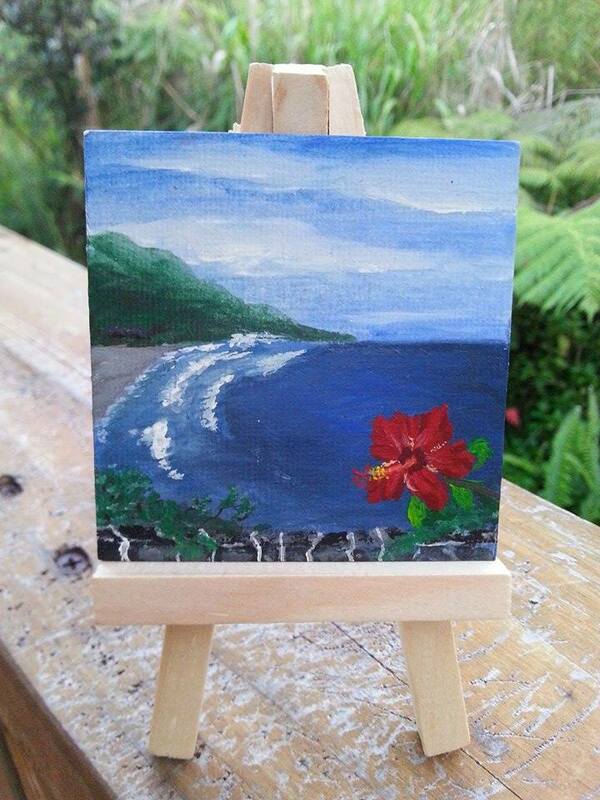 Golf Course Painting Commissioned For My Mom and Dad. 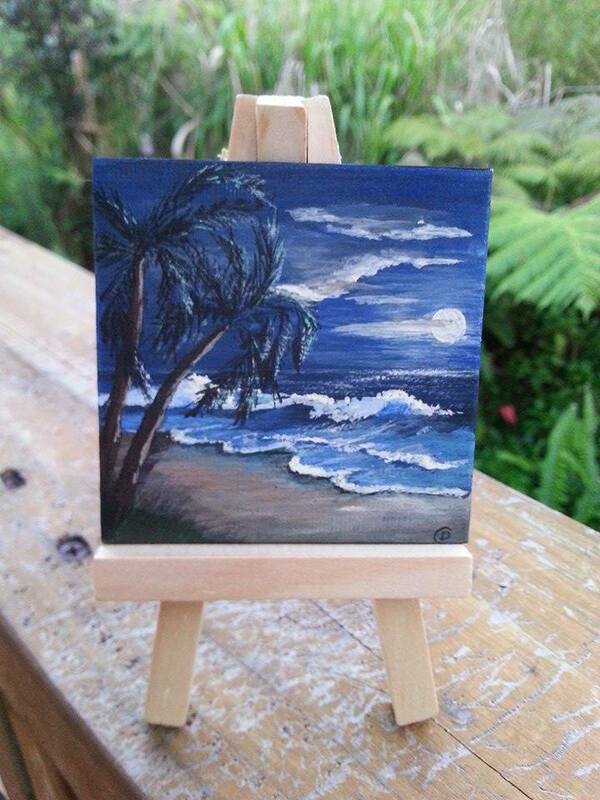 Hand painted miniatures and executive gifts. 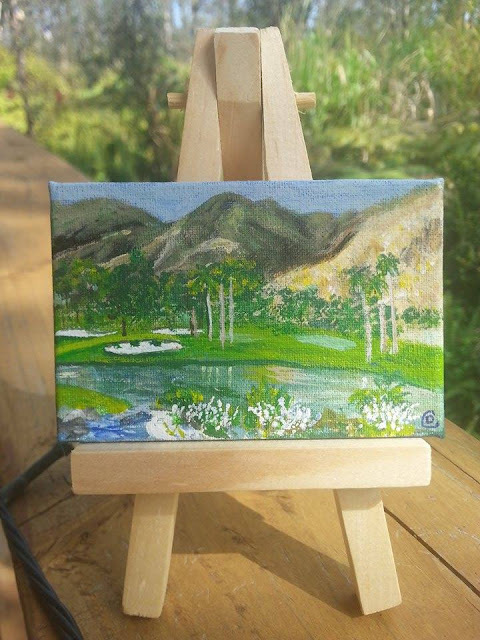 I wanted something special for my parents and I also wanted Debbie Leah Cochran to try her hand at painting a golf course theme. 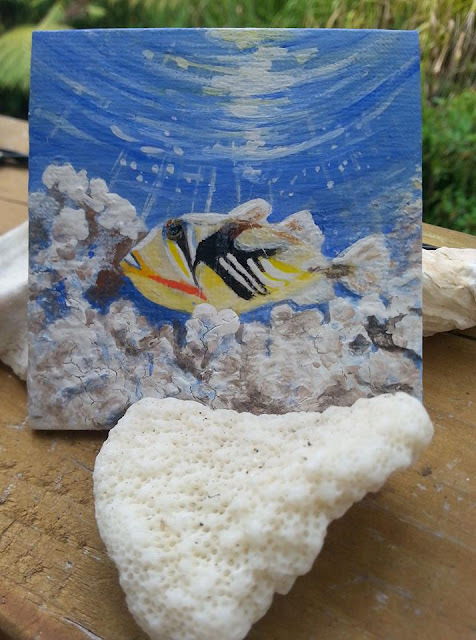 My parents are avid golfers and miniatures make sense because my parents already have the art they want on their walls and most golfers like more than one golf course. 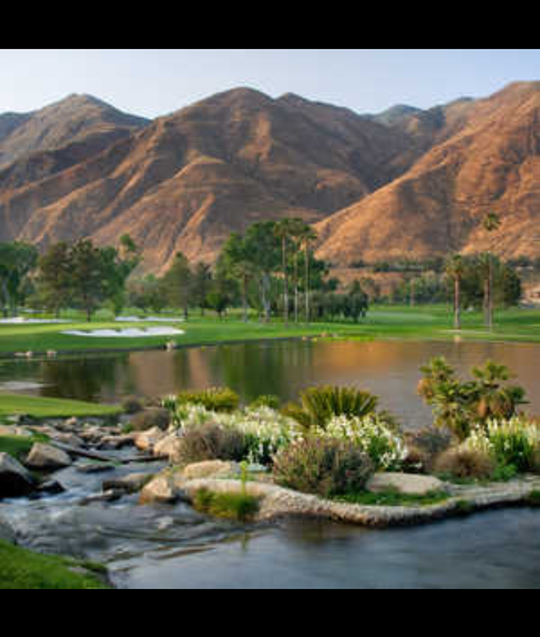 Debbie chose a photograph of The Country Club at Soboba Springs, in San Jacinto CA, to work from. My parents are located nearby in Hemet. 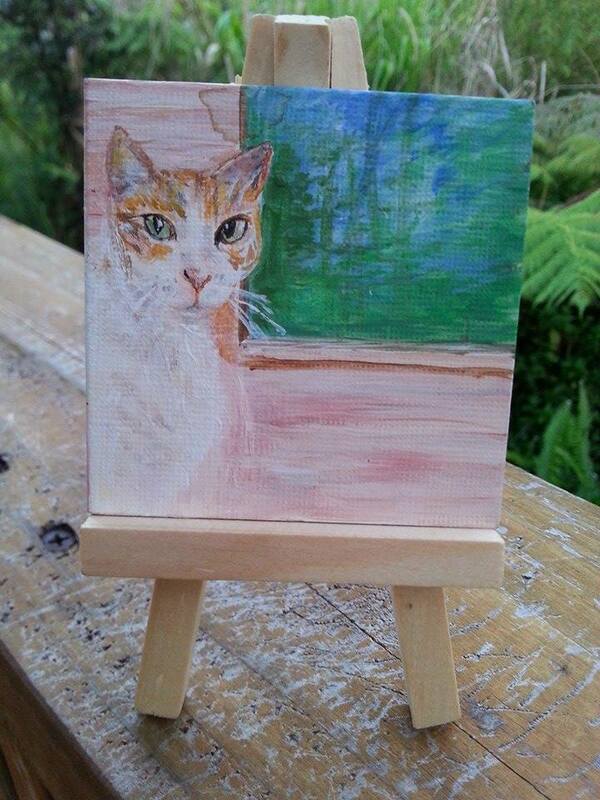 The canvas is four inches by four inches and includes the easel.